Beta's light and elegant design is restrained and yet striking. Beta features clear, geometric contours and pleasantly rounded handles. 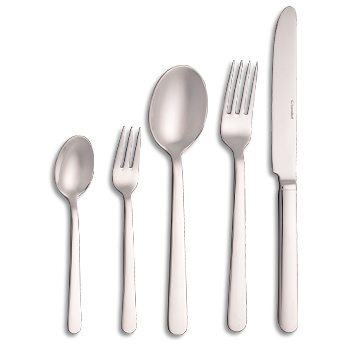 The satin polished finish is sophisticated and lends any meal an exclusive touch. Young and trendy, Beta is the ideal complement to the currently popular range of square porcelain crockery.